Some wait for football season in the Fall while others anticipate baseball season in the Spring. Some sports fans are disappointed that basketball season just ended. But those in the insurance industry often anxiously anticipate the Atlantic Hurricane Season. 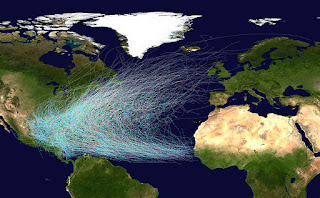 June 1 kicked off the official start of the Atlantic Hurricane Season, which incorporates property located in the North Atlantic, Gulf of Mexico, and Caribbean Sea. The season officially runs through November 30, but does not always abide by the parameters of the season’s timeline. For example, the first Named Storm of the season came early – Tropical Storm Arlene developed on April 20 in the central Atlantic region. Like sports, the Hurricane Season has forecasters who provide watchers with guidance on what to expect this year. On May 25, 2017, the National Oceanic and Atmospheric Administration (NOAA) issued a press release outlining its 2017 Atlantic Hurricane Season outlook. The NOAA predicts that there will be 11-17 Named Storms and 5-9 Hurricanes – categorizing 2-4 as “major”. Named Storms are defined as having top winds of 39 mph or higher. A Hurricane has top winds of 74 mph or higher. And a Major Hurricane has wind speeds of at least 111 mph. If the NOAA’s forecast is accurate, there will likely be at least 3-4 storms that will impact insured property. Hurricanes and Tropical Storms pose significant property risks – both direct and indirect. For example, high winds associated with these storms wreak havoc on roofing systems and windows, and cause damage from blown debris. The storms may stall over an area, unleashing downpours of rain and leave water with no place to go except into an insured building. And storm surge has proven to be a significant risk to property. The waves and water from a storm surge can level homes and, in extreme circumstances, reach further inland than anticipated or protected against. The over-all effect of these storms can damage local economies, affect power to neighborhoods and cities, and cause business interruption losses. With the exception of 2013, the NOAA’s predictions have been relatively accurate. Therefore, Hurricane Watchers should be prepared for over 10 Tropical Storms and a potentially large number of Hurricanes during this year’s Atlantic Hurricane Season.